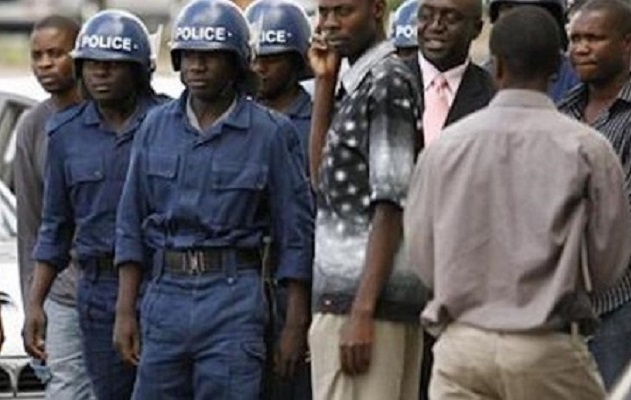 ZIMBABWE – Anti-riot police on Saturday violently broke and beat up activists during an “I Love You Zimbabwe” march which was organised to demand “love for citizens by government in the spirit of the Valentine’s Day”. Two protestors were left hospitalised as a result of an incident which happened in the full glare of members of the public in Harare’s Central Business District Saturday morning. The march was organised by the Zimbabwe Activists Alliance (ZAA), Temba Mliswa’s Youth Advocacy for Reform and Democracy (Yard) and Restoration for Human Rights (ROHR). Those hospitalised were identified as YARD’s Lennon Manyengavana and ZAA coordinator Lynnette Mudhewe. The over a hundred protesters were seen scattering in different parts of the teeming city centre as police descended on the marchers with baton charges. They were on their way to Parliament in central Harare to “lay a rose baquet” and “to express our patriotic love for Zimbabwe as Zimbabweans within and without her borders”. “Zimbabweans must unite in their diversity and collective work towards the sustainable, political and socio-economic development of the nation through active participation in democratic processes,” read a statement by ZAA. During the march, the protestors carried placards and flowers demanding that the current Zanu PF-led government “show love to its people”, “Stop looting the nation’s resources” and “Let’s have peace on Valentine’s Day”. “Mugabe give us love,” read another placard. The breaking of the march follows a similar incident in Harare last month in which police broke a Rural Teachers Union of Zimbabwe organised march to press for the payment of outstanding salaries and bonuses by government.